It is true that taking a walk in Greenwich Park is nice, even when the weather is bad. However, this can have a negative effect on your carpets at home. Vacuuming can only get you as far. What you need is The Top Carpet Cleaning. Our company provides affordable and professional carpet cleaning in Greenwich. We are proud to know that we have become the first choice for many residents in the area, who wish nothing but the best for their carpets. The main thing about carpet cleaning is that even if you vacuum, you will sooner or later find your carpets and rugs soiled. The reason is simple: a large part of the dust and dirt gets ingrained deep within the fibres. There is no getting it out of there with simple vacuuming. What you need is the gear we utilise at The Top Carpet Cleaning. 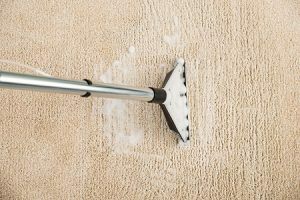 Our carpet cleaning involves the hot water extraction method, which injects carpets with hot water and then removes it along with any impurities trapped in the pile. The method is safe and can be performed on many types of carpets and rugs. If you wish to try it out, give us a call on 020 3322 8944. When it comes to cleaning services, The Top Carpet Cleaning is the one company you need to call first. We have been in the business for some time now and we have perfected our procedures. What this means for you is that once you call 020 3322 8944, you can be sure that we will quickly move the procedure forward. We won’t keep you waiting for days to hear a quote, nor will we ever be late in delivering the carpet cleaning service you request from us. That is our guarantee! Greenwich in south east London is an early-established district, which gives the name to the Royal Borough of Greenwich. It is one of the boroughs of the London Docklands, connecting to other parts of London like Canary Wharf via the Docklands Light Railway. Greenwich is mostly known for its maritime history and for being the location of the Greenwich Meridian (0° longitude) and Greenwich Mean Time. Historic buildings in the area have been preserved and are still in use today. Notable examples include University of Greenwich and the Trinity Laban Conservatoire of Music and Dance. The riverfront of the area is a well-known and much visited place. The clipper ship Cutty Sark is there preserved on dry dock to green all visitors. It is the finish location of the annual Great River Race. The area takes full advantage of its location and employs efficient boat transport, all managed by London River Services. Our carpet cleaning in Greenwich is affordable and efficient. Get in touch with us today by calling 020 3322 8944 for a free quote.